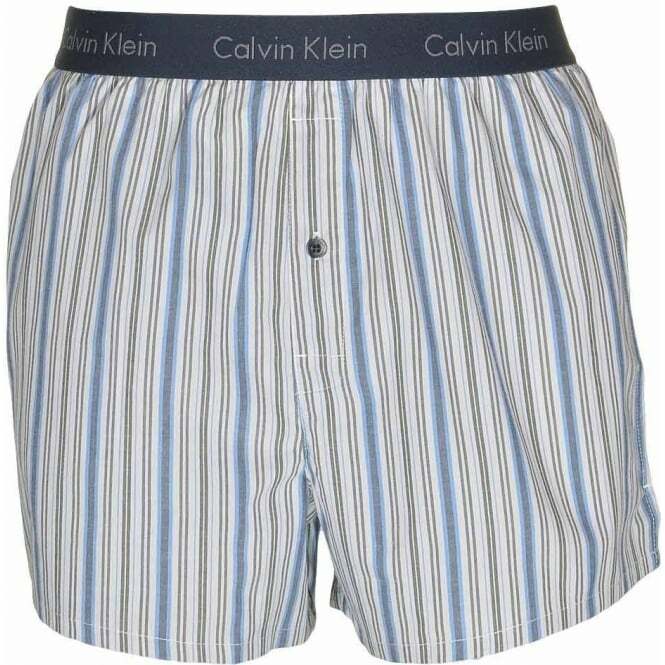 Slim fit soft cotton boxers, comfortable fit, classic length, with room for ease and freedom of movement. Single button fly. Short side slits. 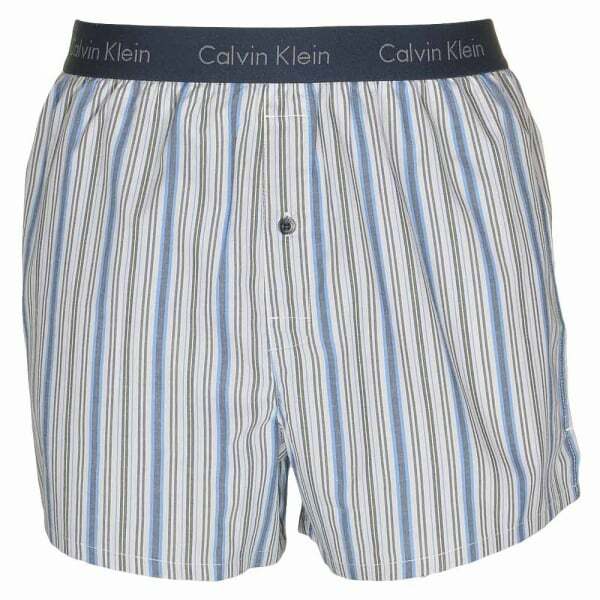 In this collection we have available a Calvin Klein Woven Slim Fit Boxer Dynamic Stripe - Carbon Blue, which is available in multiple sizes ranging from Small to Extra Large.